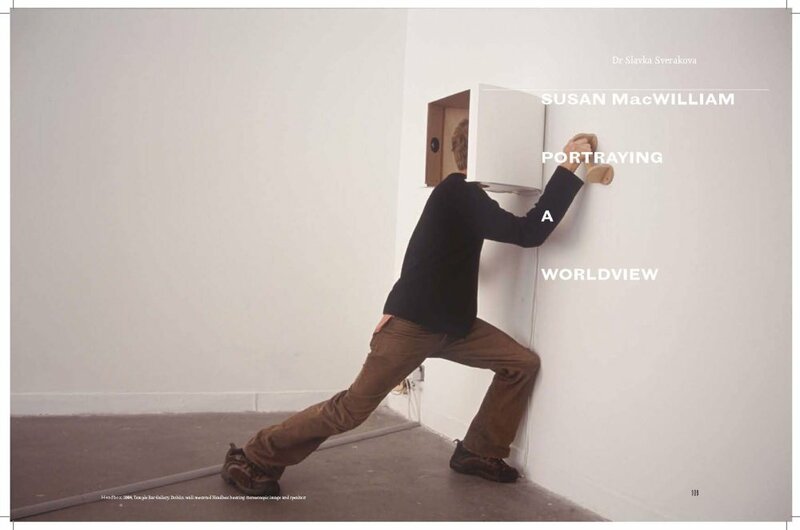 Published on occasion of Susan MacWilliam's solo exhibition REMOTE VIEWING, 53rd Venice Biennale. 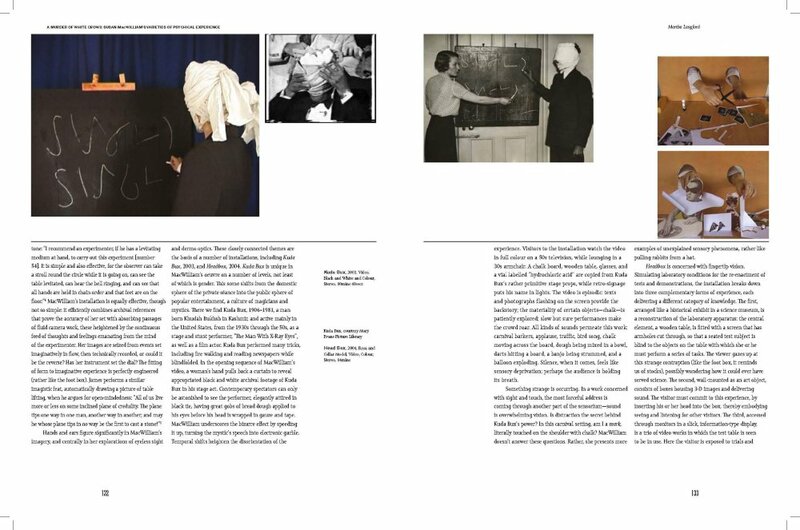 Edited by Karen Downey, with writers Ciaran Carson, Martha Langford, Slavka Sverakova, Brian Dillon, Marina Warner. 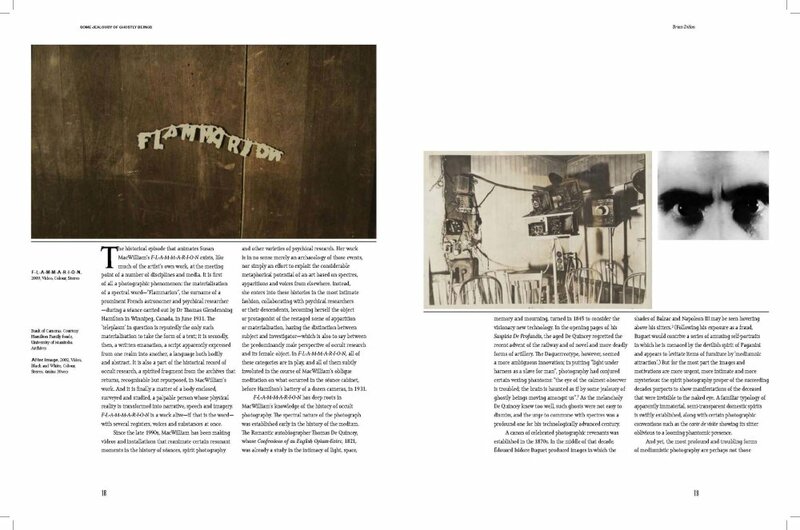 Published by Black Dog, Designed by Pony Ltd.
For further information on Susan MacWilliam's particiaption at the Venice Biennale see British Council Venice Biennale timeline. 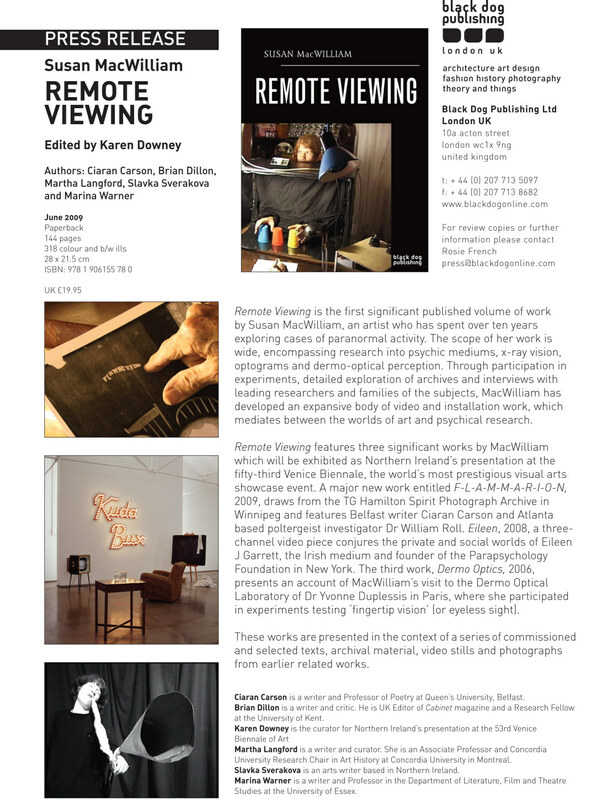 Edited by Karen Downey, with writers Ciaran Carson, Martha Langford, Slavka Sverakova, Brian Dillon, Marina Warner. Published by Black Dog, Designed by Pony Ltd. 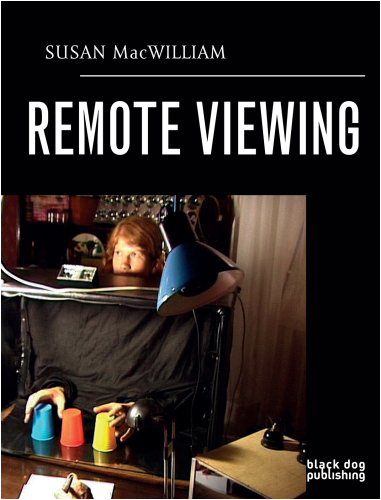 REMOTE VIEWING documents the three video installations exhibited by Susan MacWilliam at the 53rd Venice Biennale, 2009, when the artist represented Northern Ireland with her solo ehibition REMOTE VIEWING comprising the works, Dermo Optics, Eileen and F-L-A-M-M-A-R-I-O-N.
"In the depths of a Parisian cellar, Madame Yvonne Duplessis conducts fingertip vision experiments; New York in the 1950s and Irish-born medium Eileen J Garrett is exploring the psychic potential of LSD with Aldous Huxley; Winnipeg in the 1930s and the name of the French Astronomer and psychical researcher, Flammarion, appears as a teleplasm on the back of a séance cabinet." 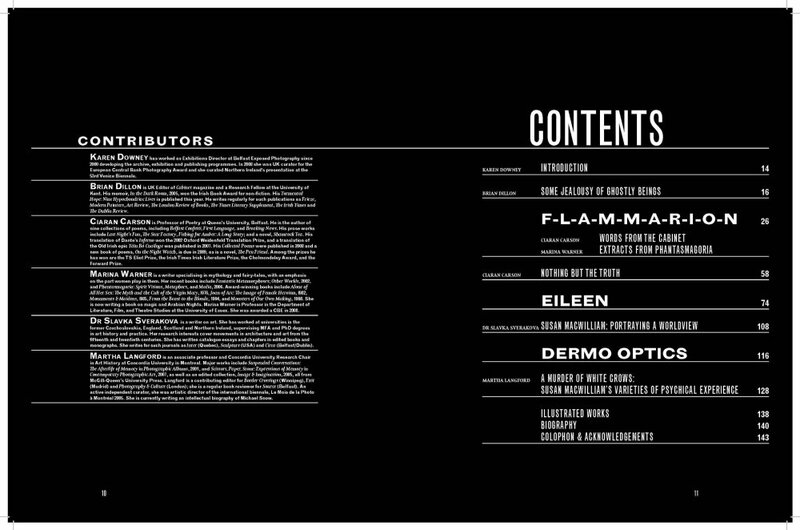 The book also features an index of earlier works. 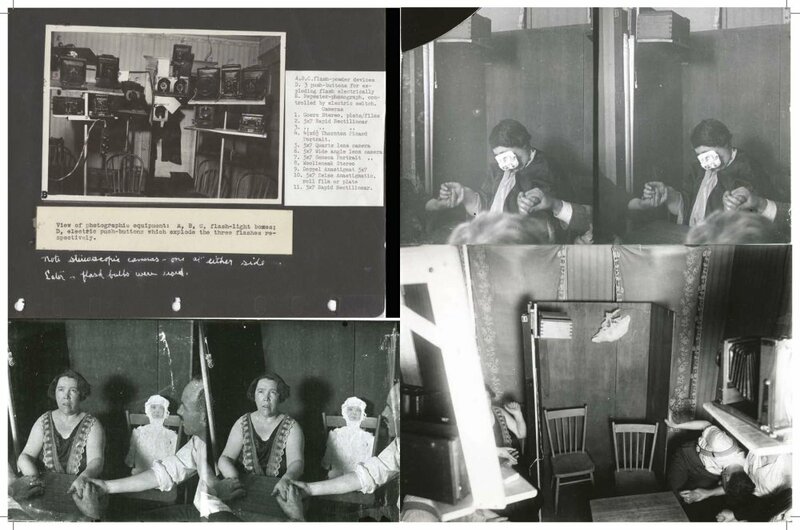 With special thanks to Parapsychology Foundation, New York and Archives and Special Collections, University of Manitoba, Winnipeg. 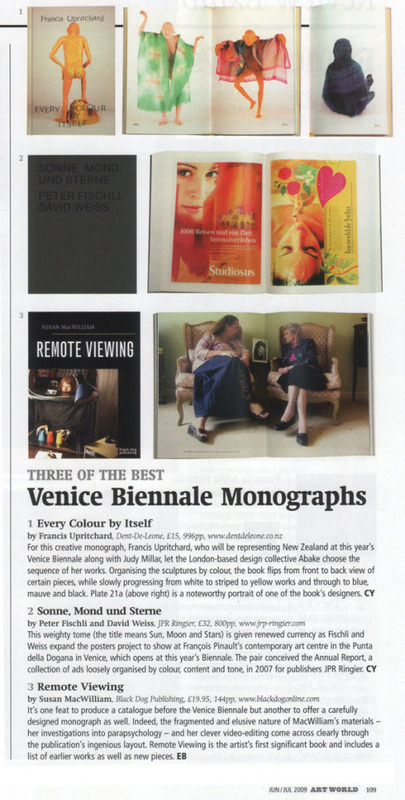 Featured in Art World's 'Three of the best - Venice Biennale monographs', Jun/Jul 2009. 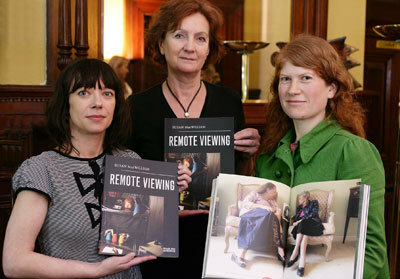 Colette Norwood, Art Manager, British Council Northern Ireland, Roisín McDonough, Chief Executive of the Arts Council of Northern Ireland and Susan MacWilliam. Image courtesy Arts Council of Northern Ireland. 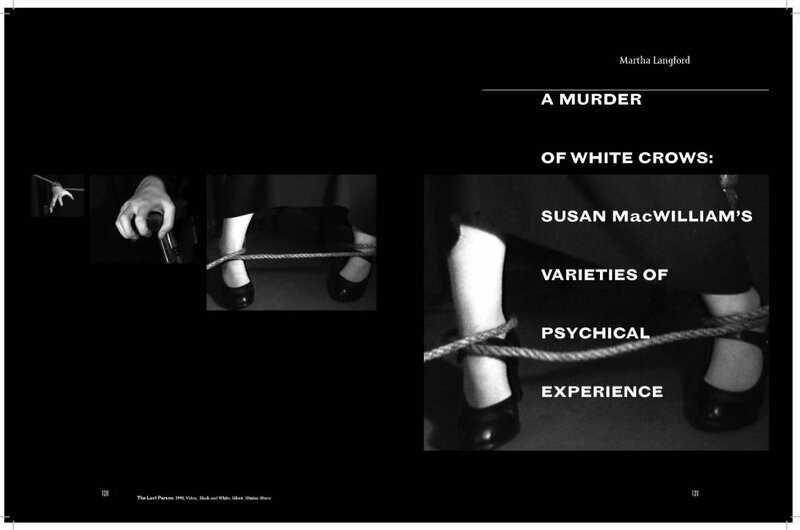 "It's one feat to produce a catalogue before the Venice Biennale but another to offer a carefully designed monograph as well, indeed, the fragmented and elusive nature of MacWilliam's materials - her investigations into parapsychology - and her clever video-editing come across clearly through the publication's ingenious layout. 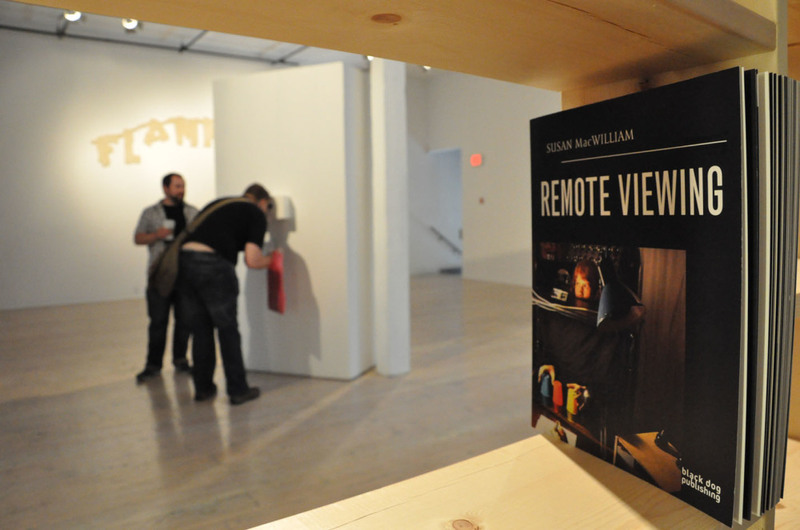 Remote Viewing is the artist's first significant book and includes a list of earlier works as well as new pieces."